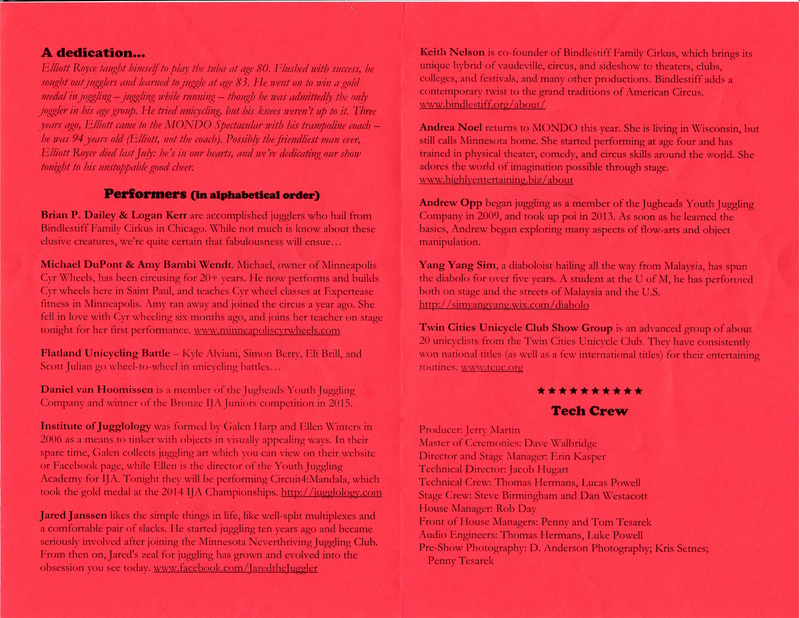 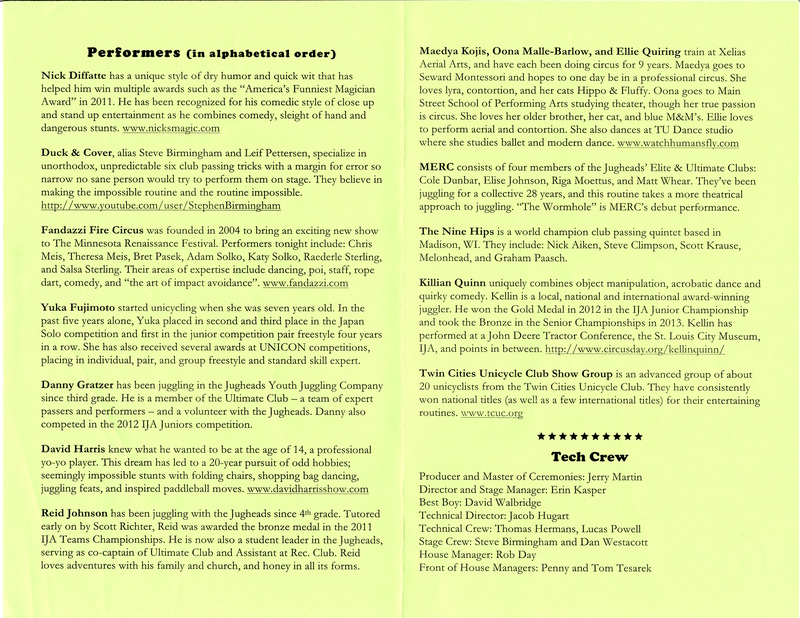 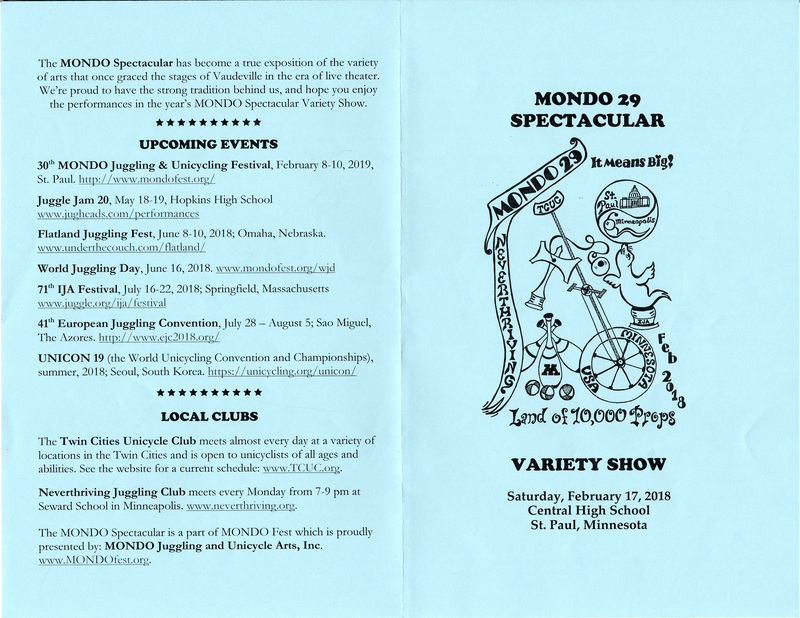 Festival conceived in January 1990 and planned for early Feb. 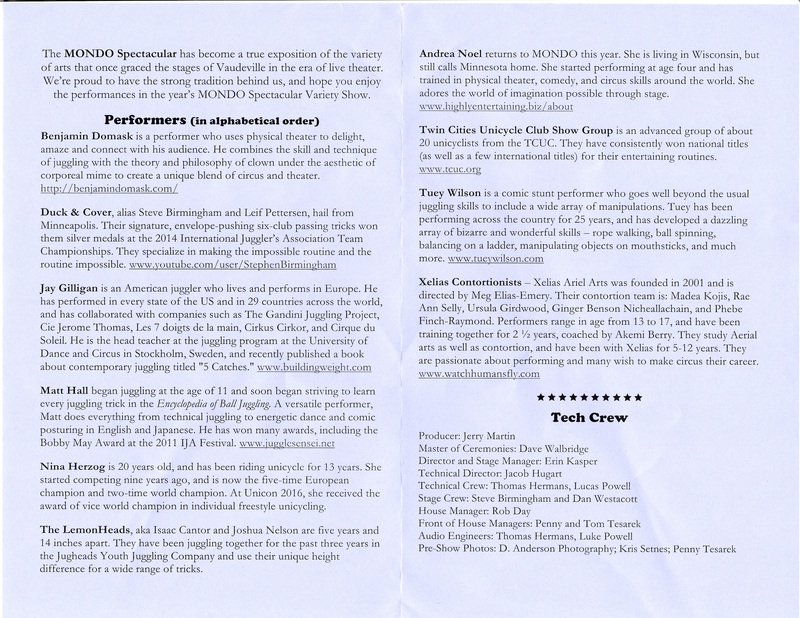 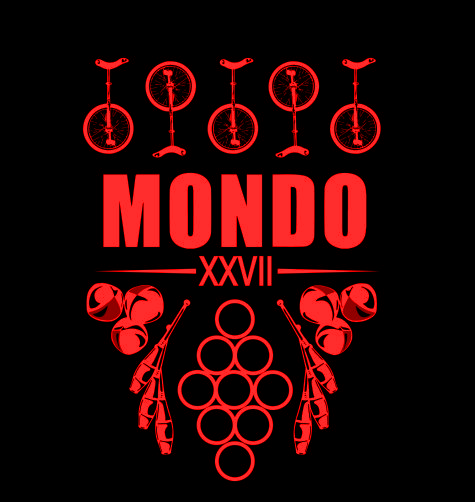 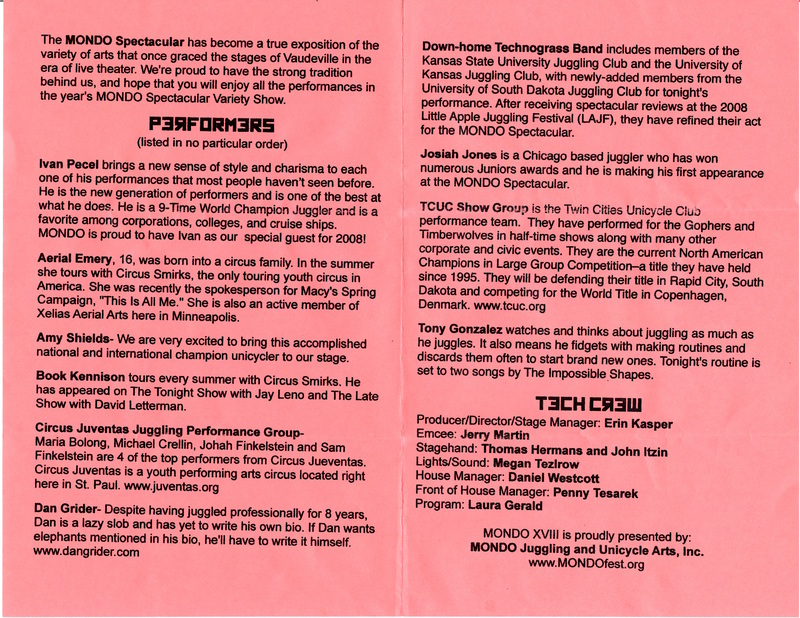 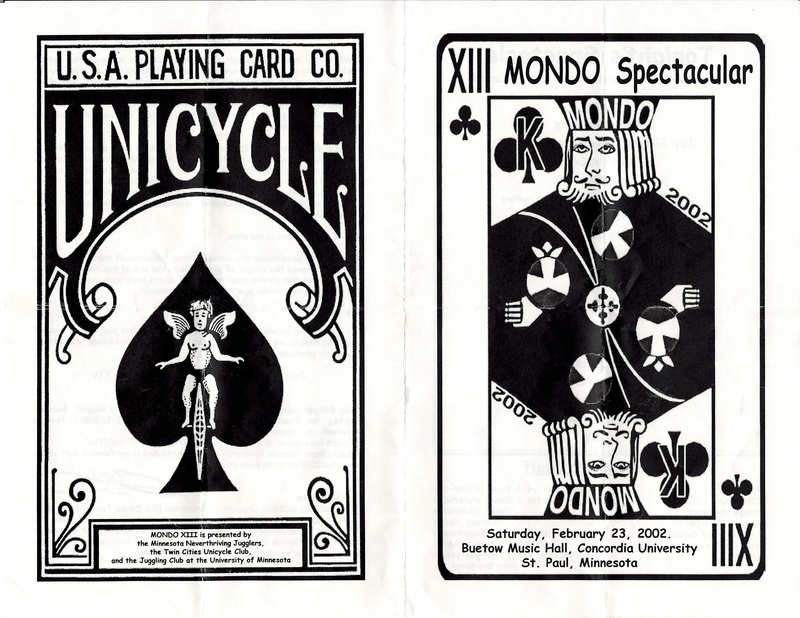 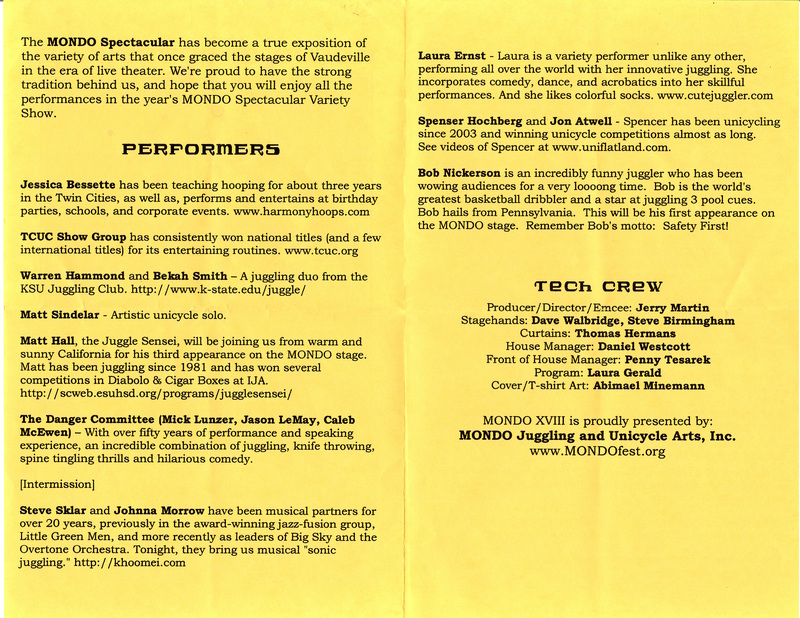 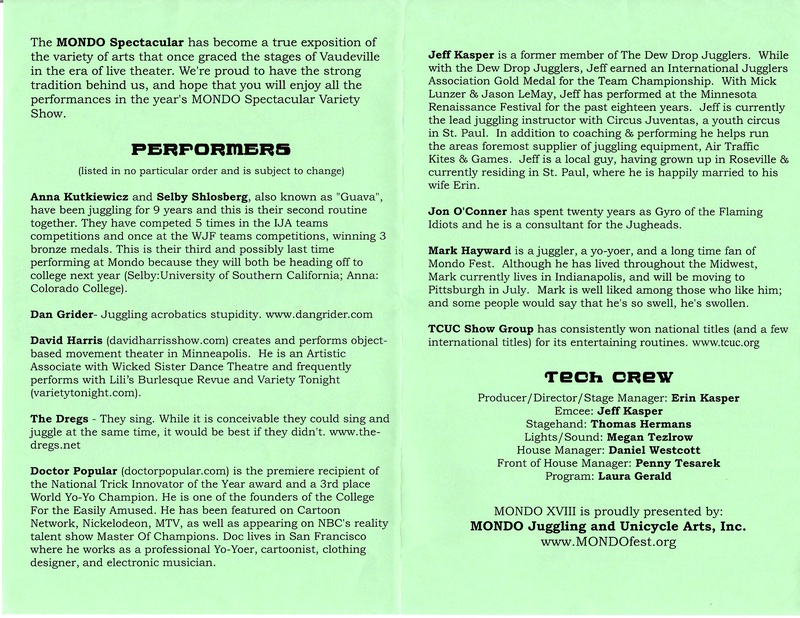 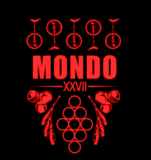 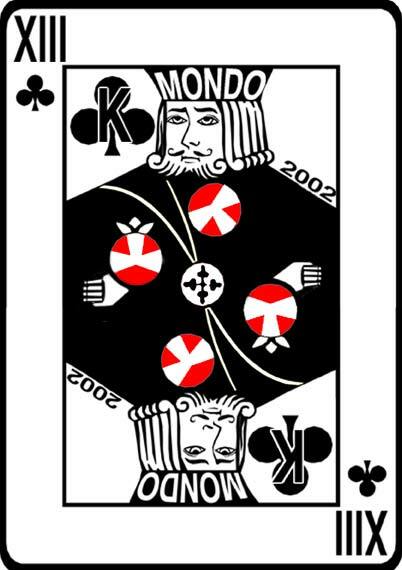 The title “Mondo” supplied/coined by Dave Walbridge. 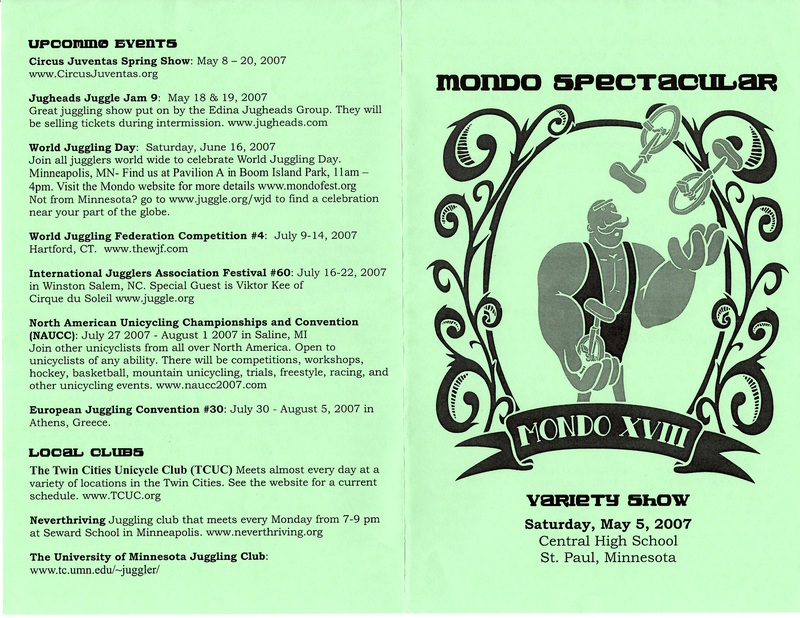 Approximately 80 people for a one day festival in Peik gym. 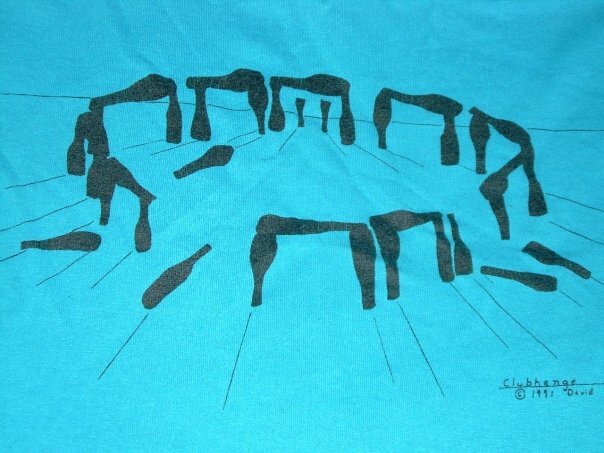 First T-shirt – “Clubhenge” Art by Dave Walbridge. 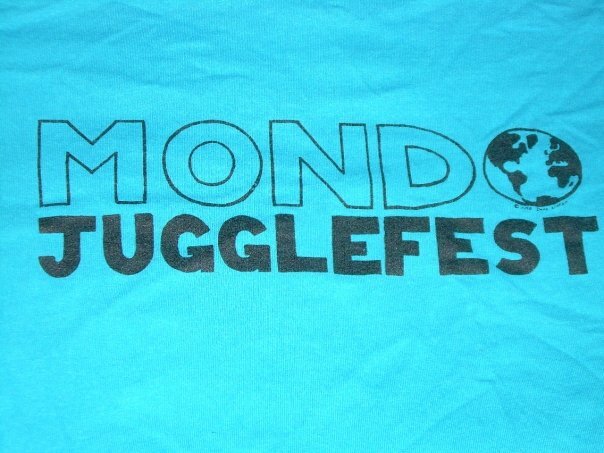 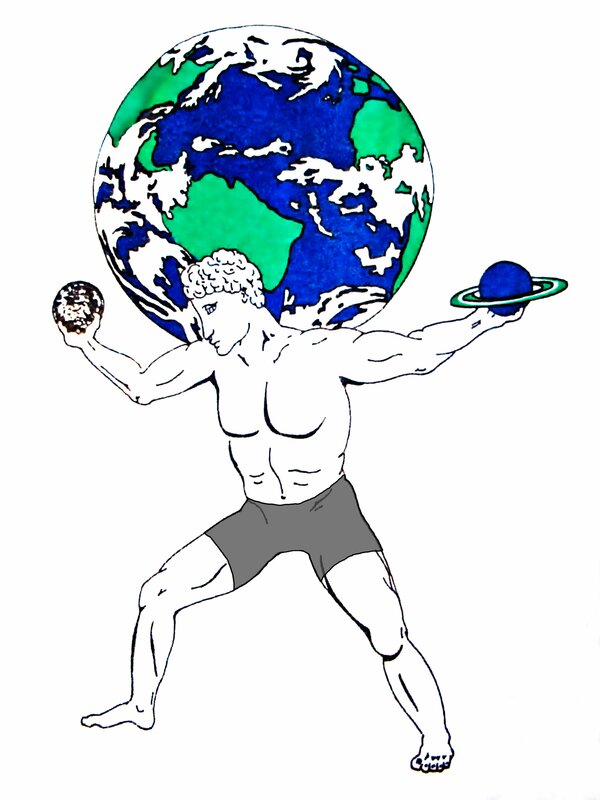 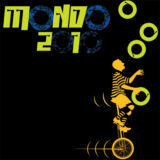 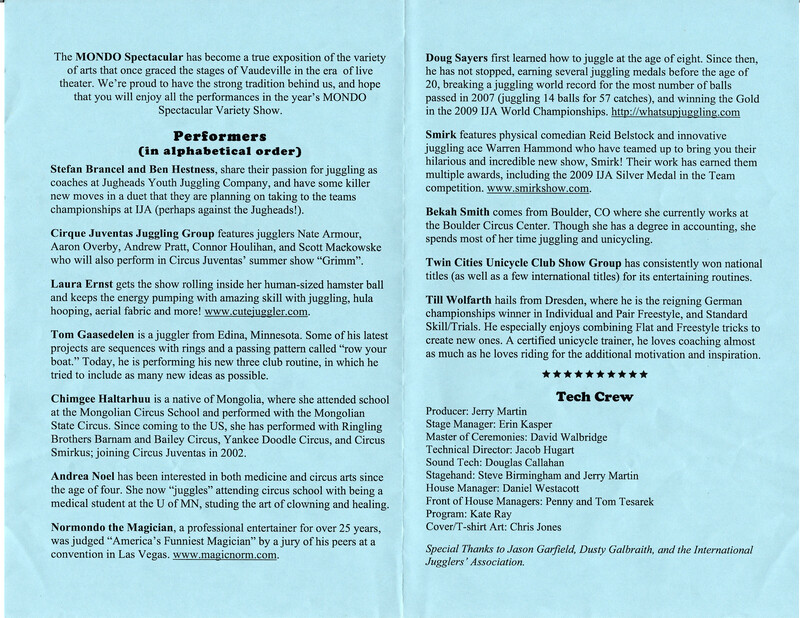 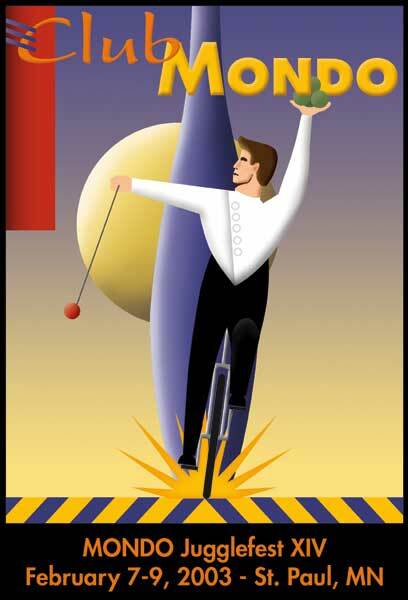 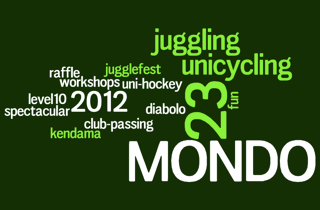 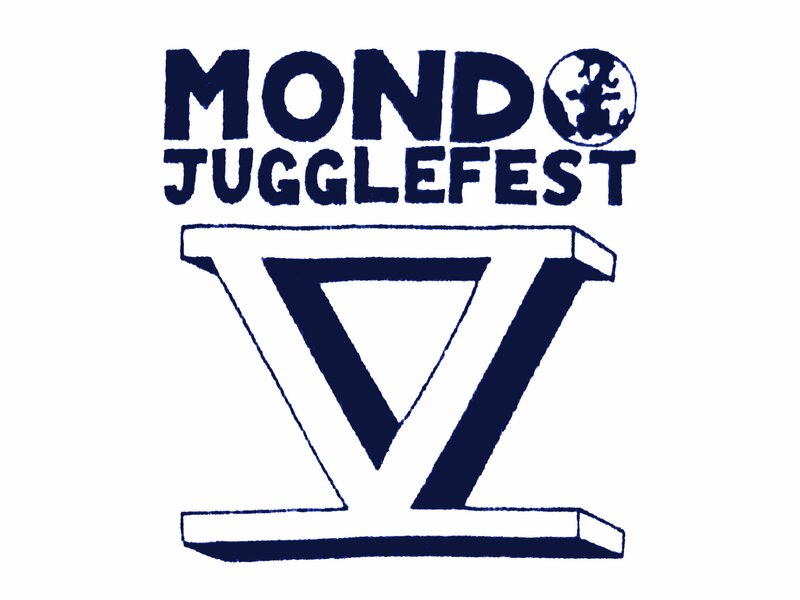 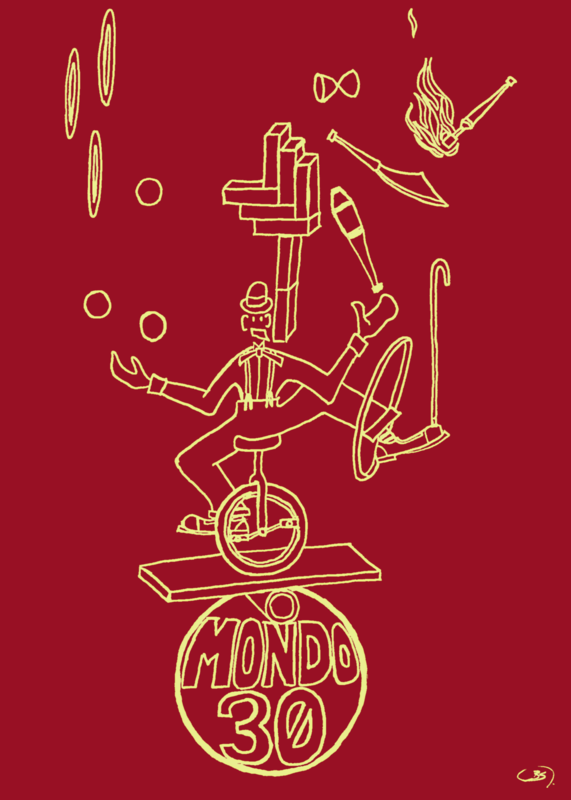 “MONDO Jugglefest” logo by Dave Linton. 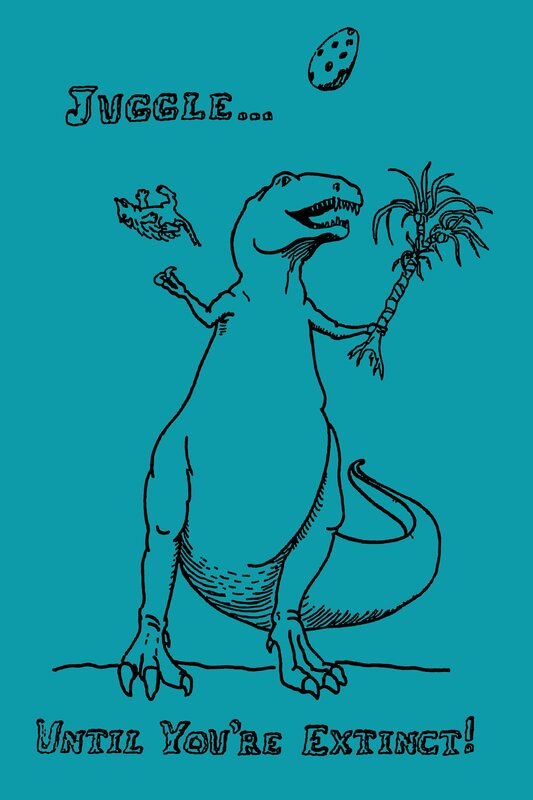 First organized show on Saturday p.m.
T-shirt – “Juggle until you’re Extinct” featuring a juggling Tyranosaur, by Dave Linton. 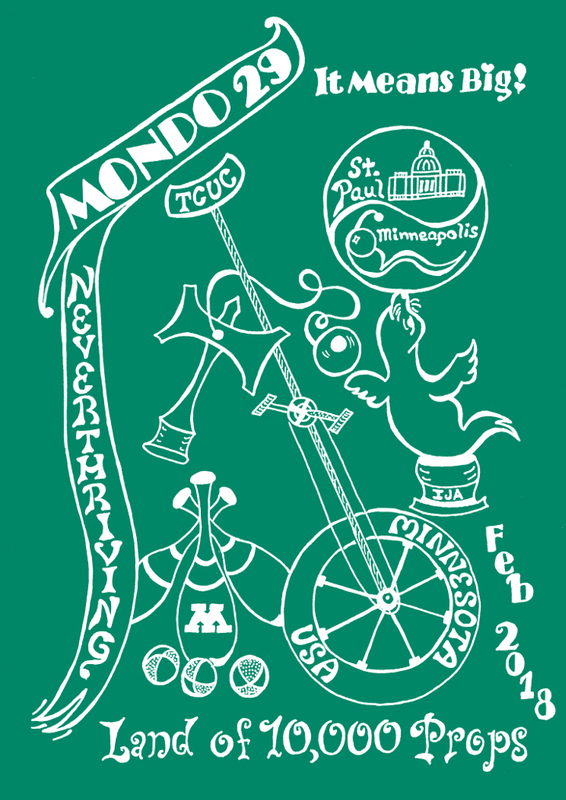 The year of the overboard? 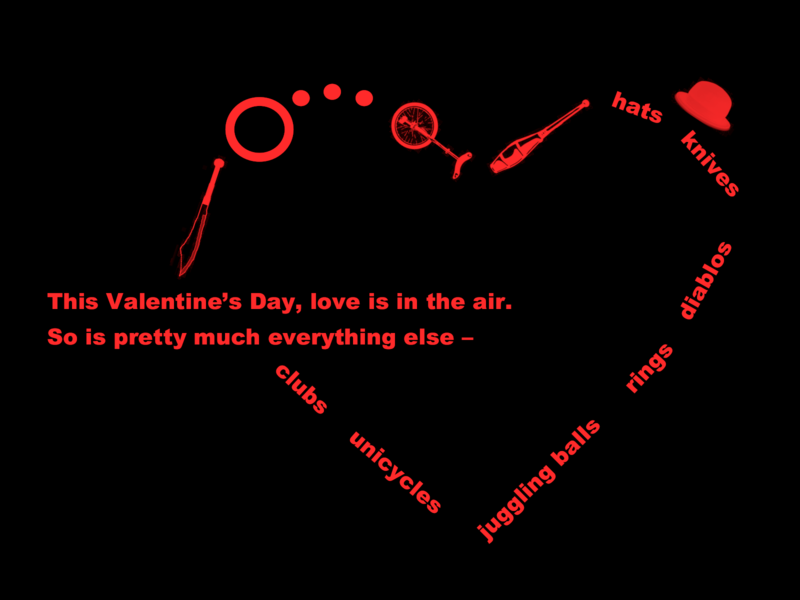 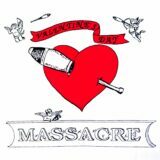 T-Shirt – “Valentine’s Day Massacre” by Dave Linton. 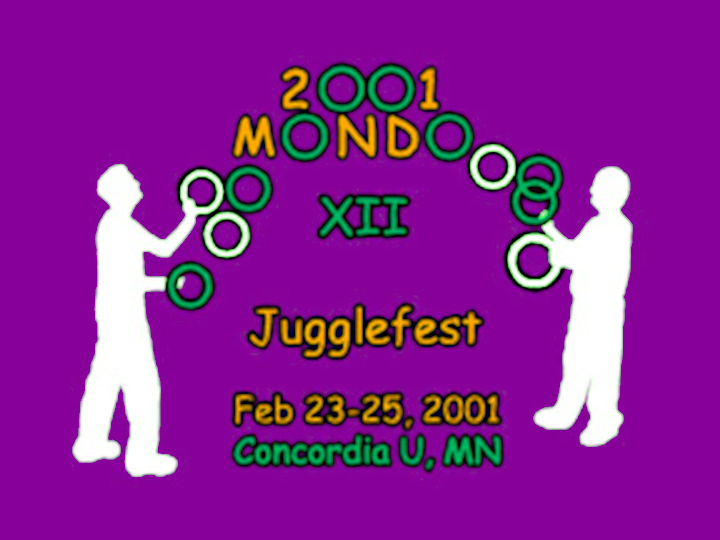 Festival moves to Cooke Hall. 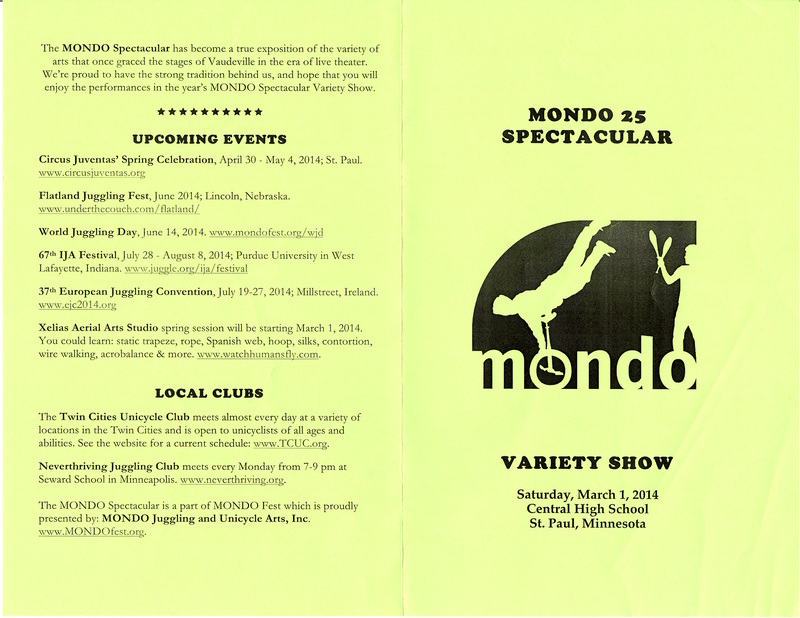 Show moves to St. Paul Student Center theater. 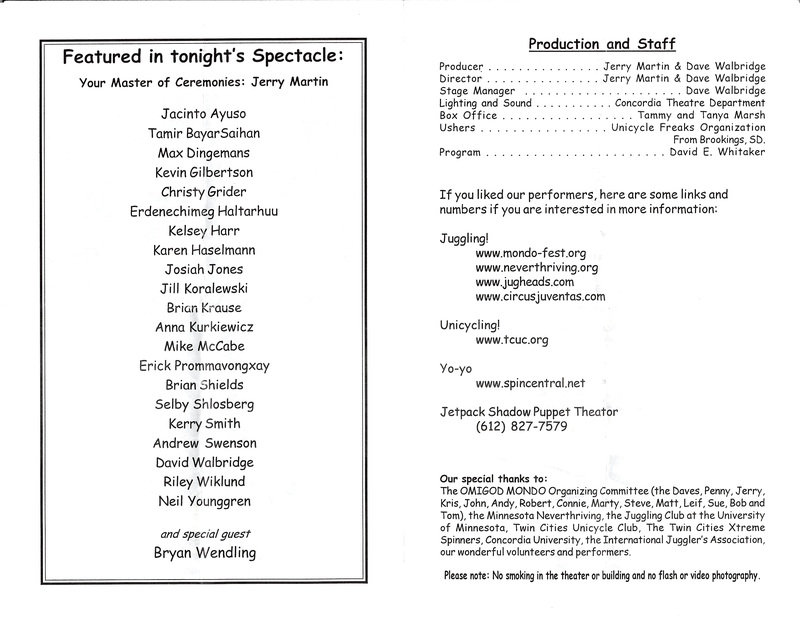 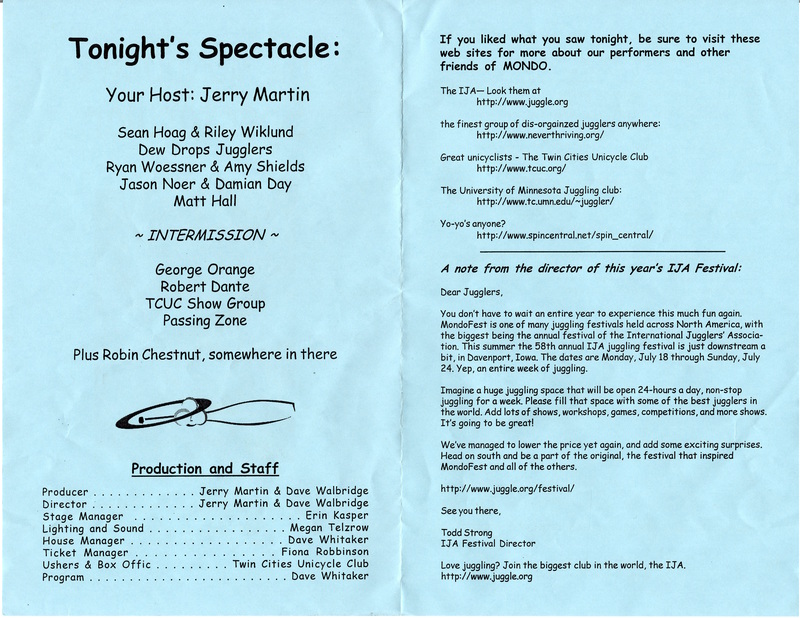 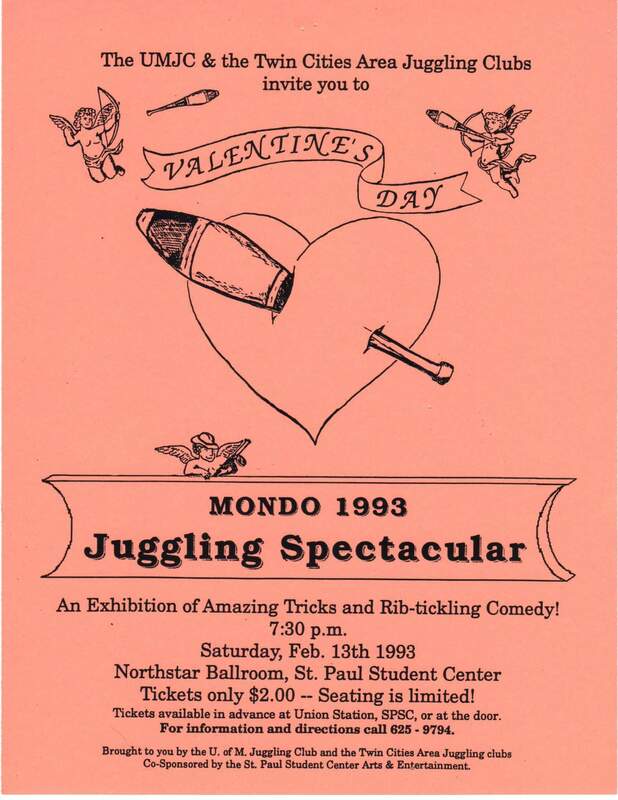 Admission: $4.00 – $6.00 (including show ticket). 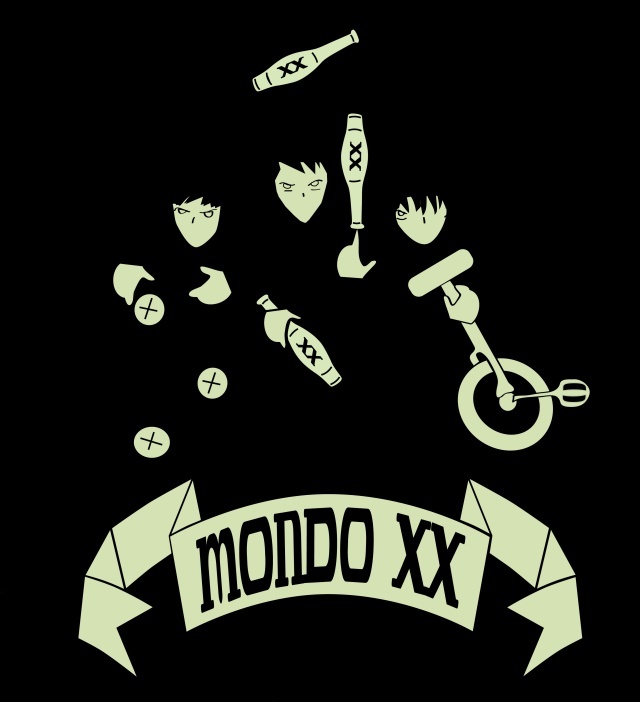 The MONDO without a t-shirt. 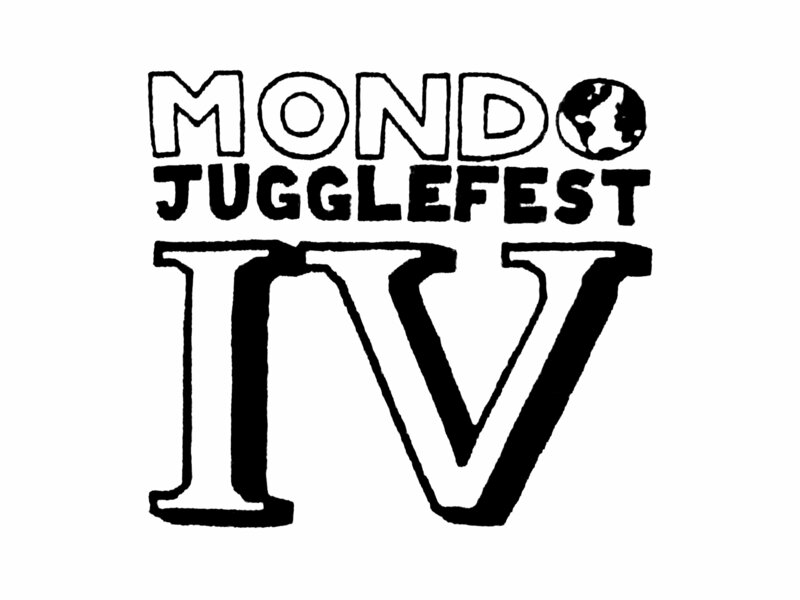 Festival goes to 3-day format. 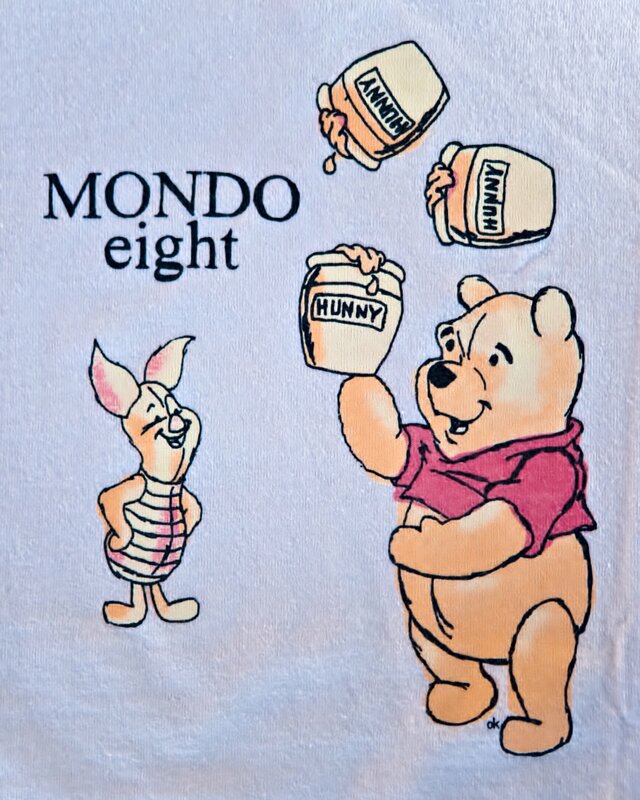 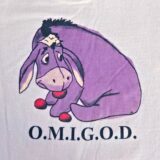 T-shirt – “Pooh” by Ochen Kalen. 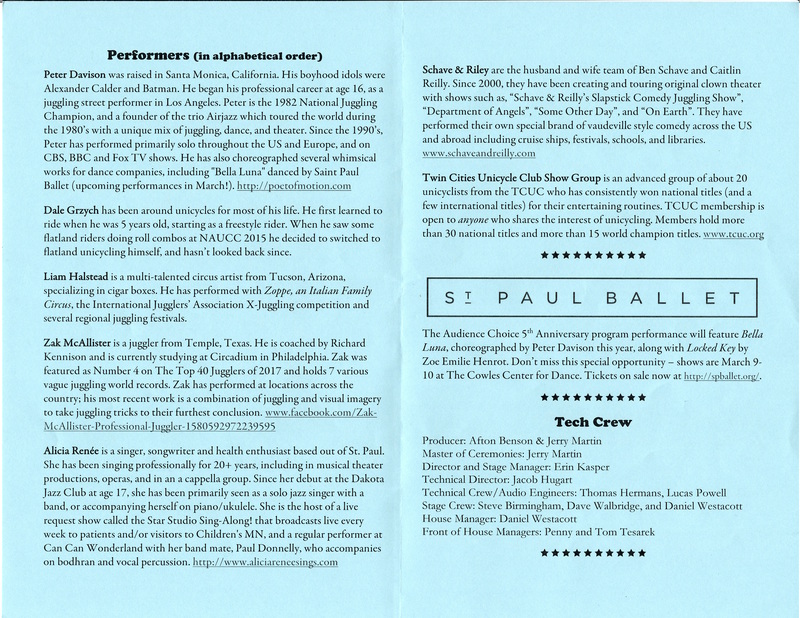 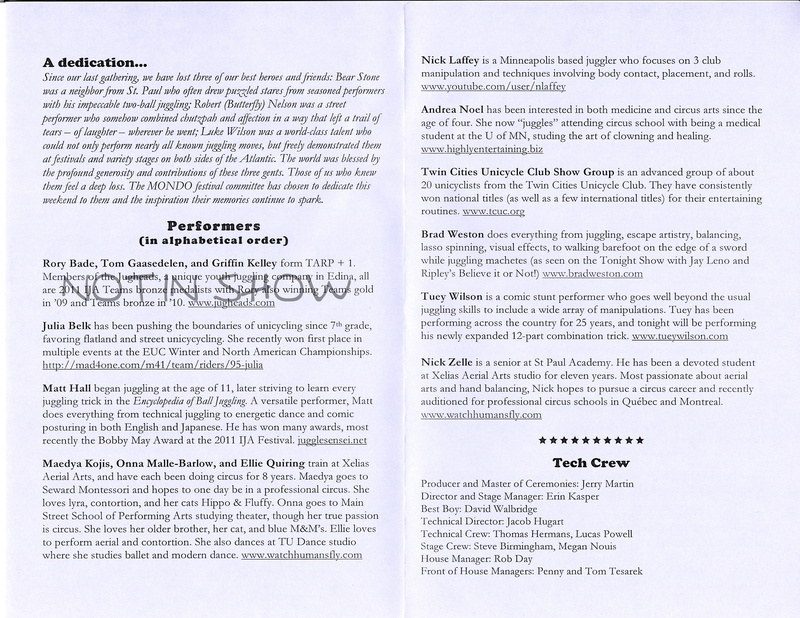 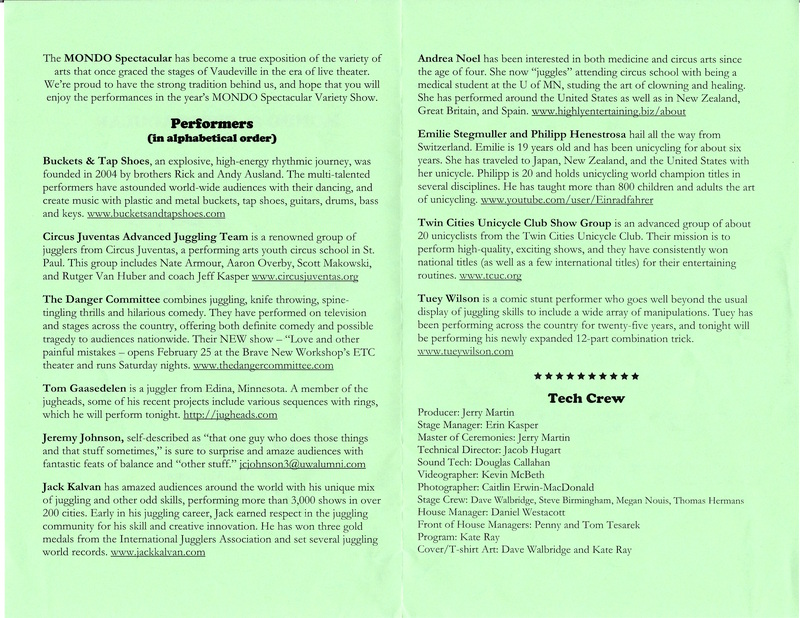 Show moves to the Music Box Theater – downtown Minneapolis. 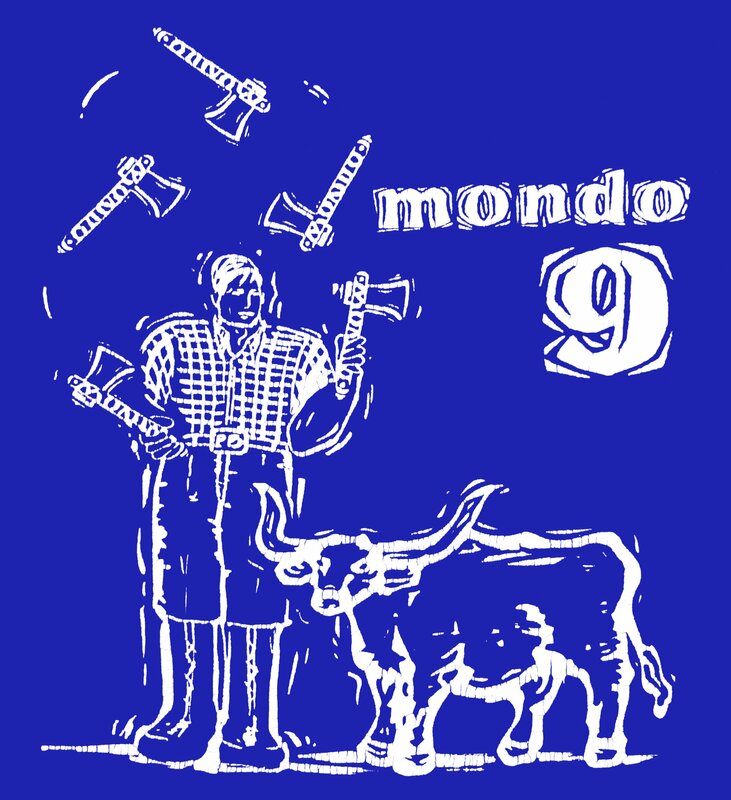 T-shirt – “Paul Bunyan” by Andrew Rose. 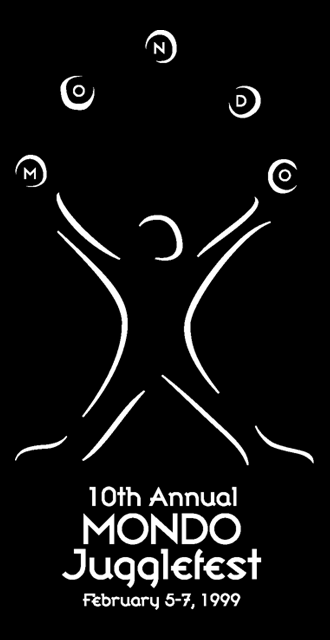 T-Shirt – “X Figure” by Rita Minnichsoffer. 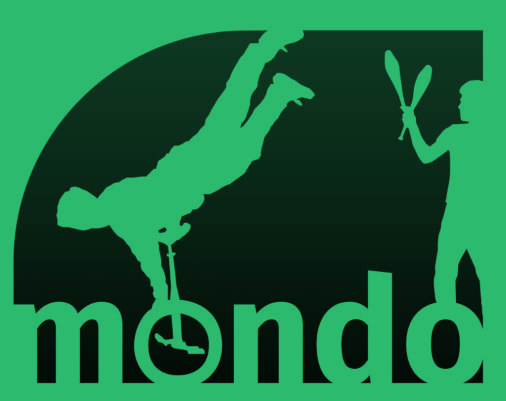 MONDO moves into its current home at Concordia University in St. Paul. 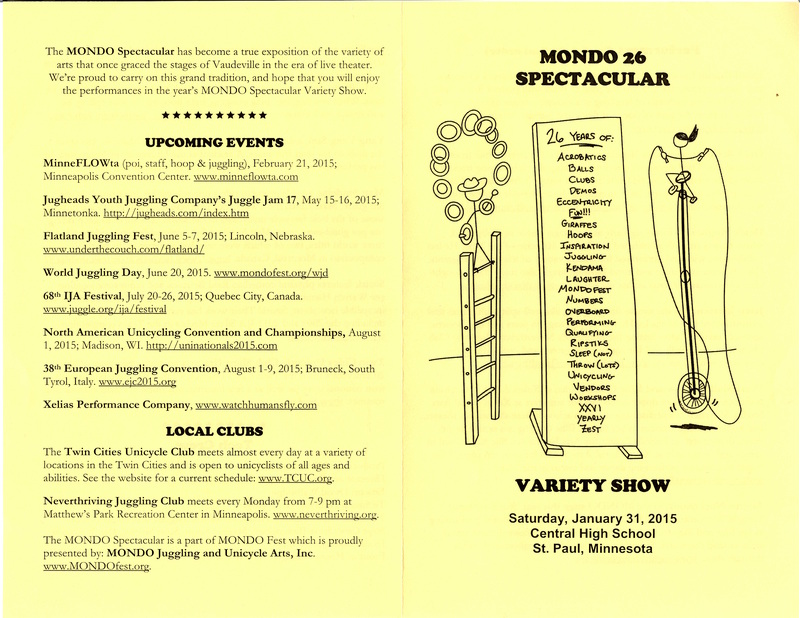 Addition of spectator pass pushes attendance over 500. 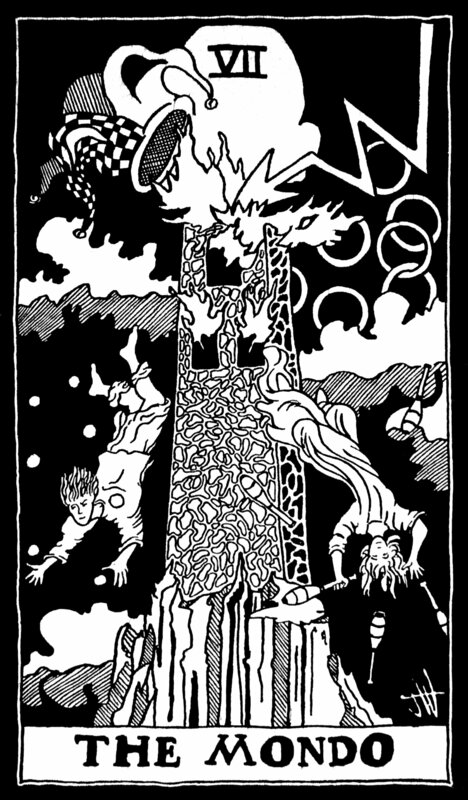 T-Shirt – “Cityscape” by Rita Minnichsoffer. 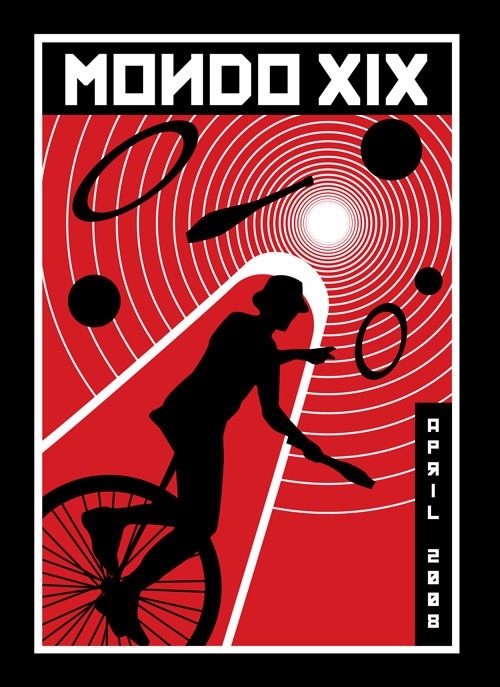 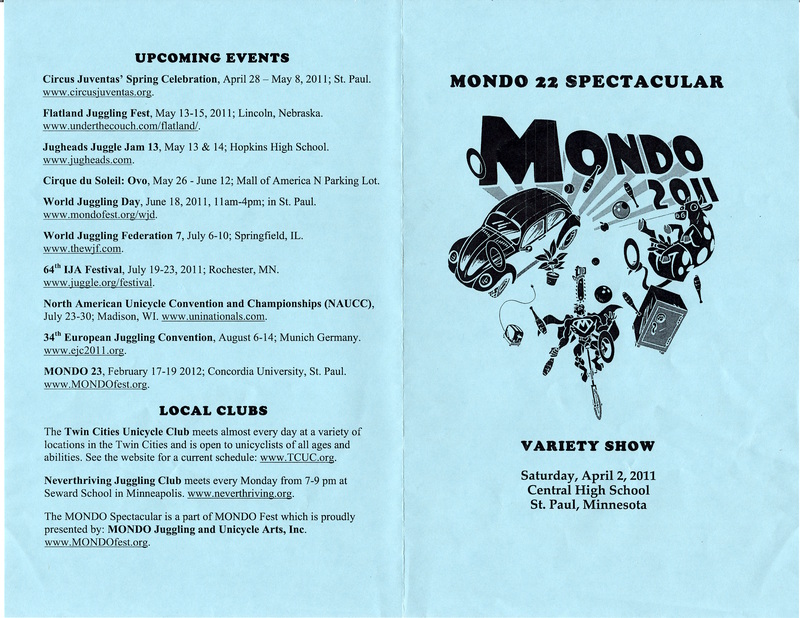 The MONDO Spectacular begins its streak of selling out each year. 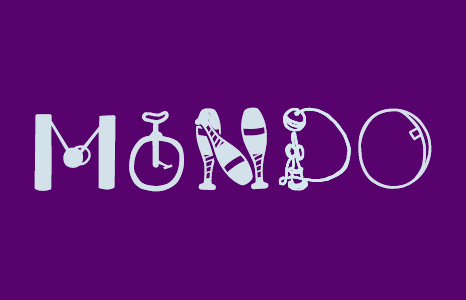 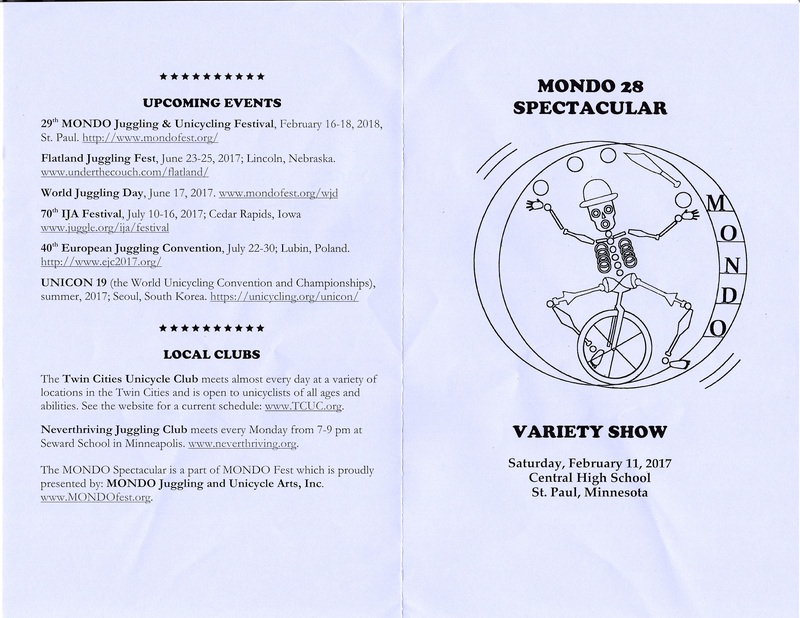 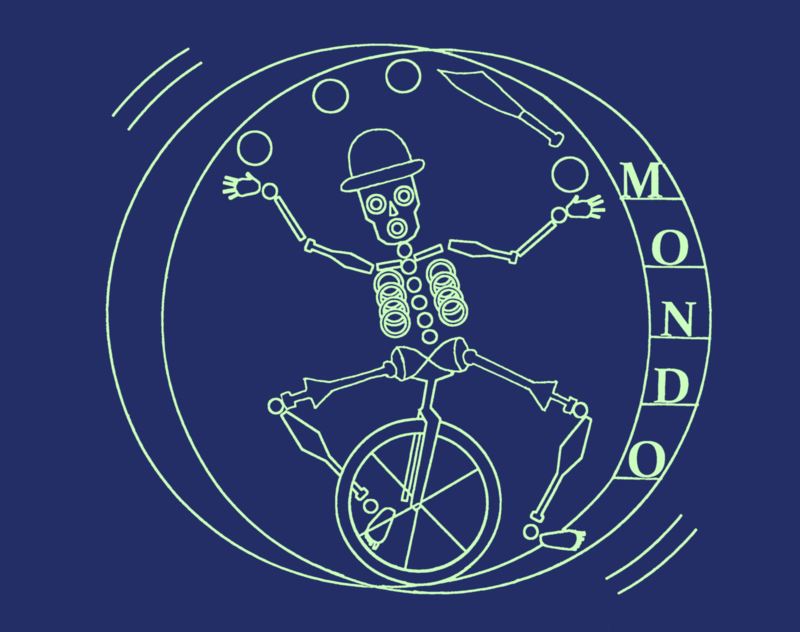 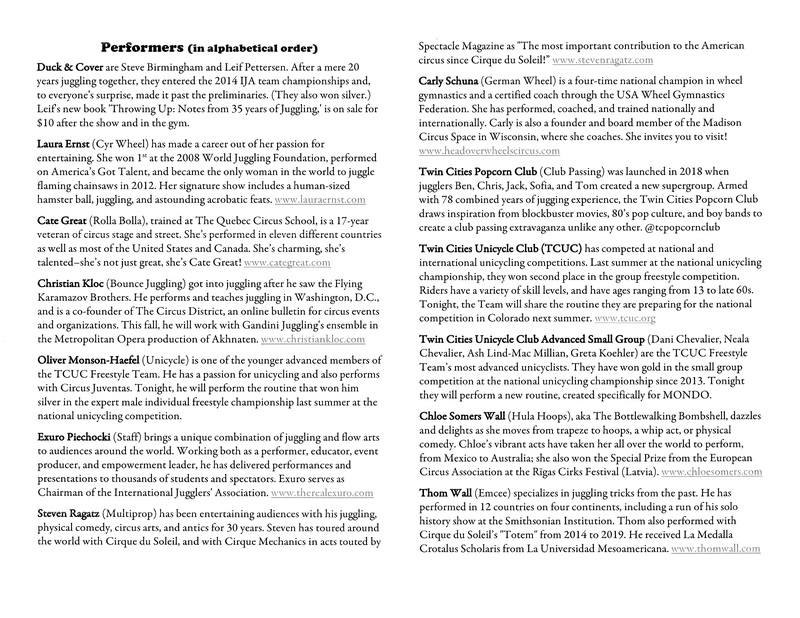 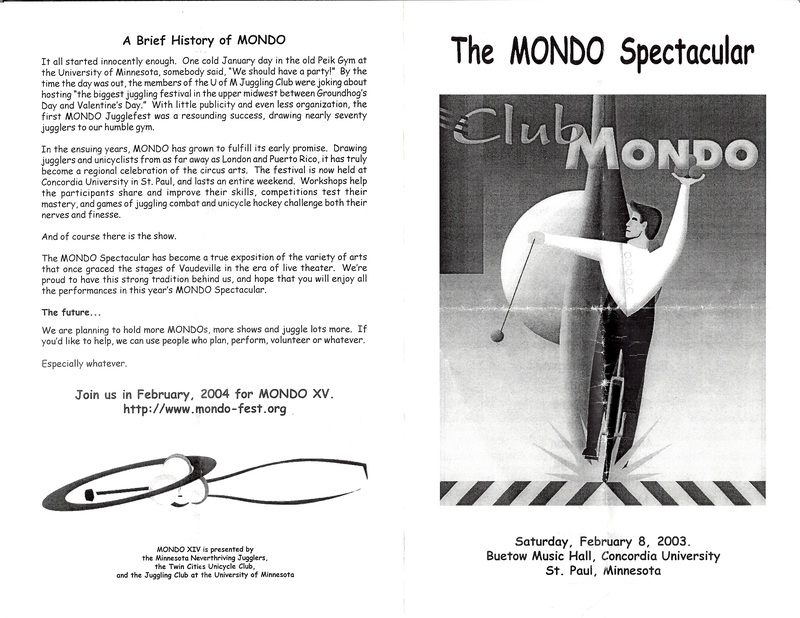 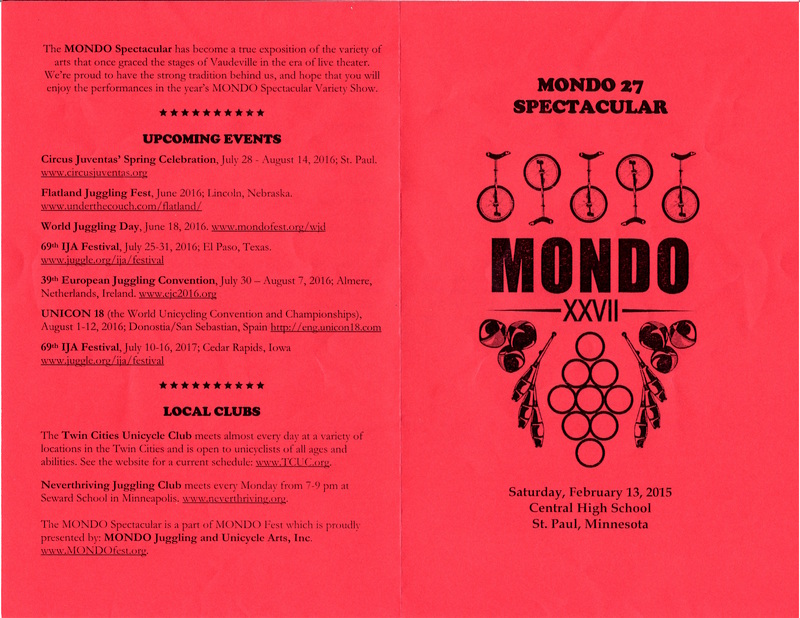 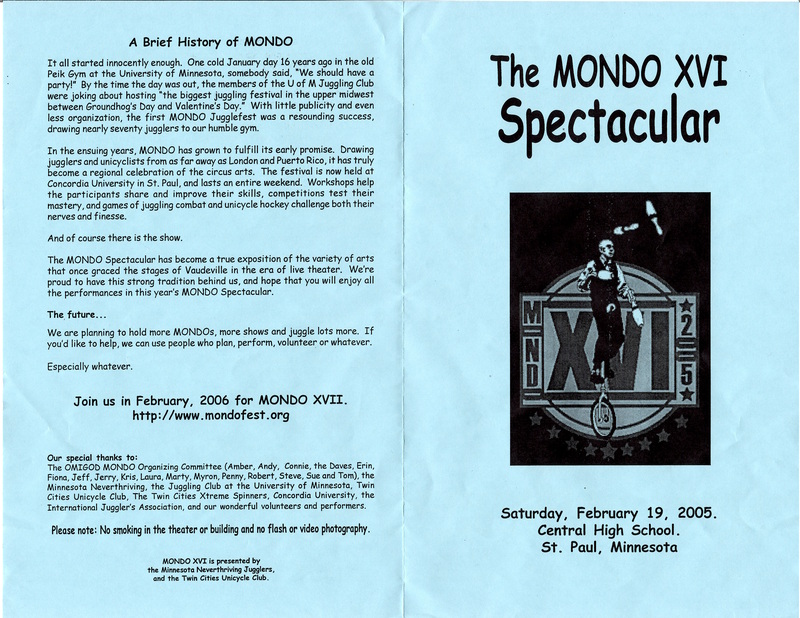 Among other things, MONDI XIII saw the breaking of a world record for jumping rope while on a unicycle. 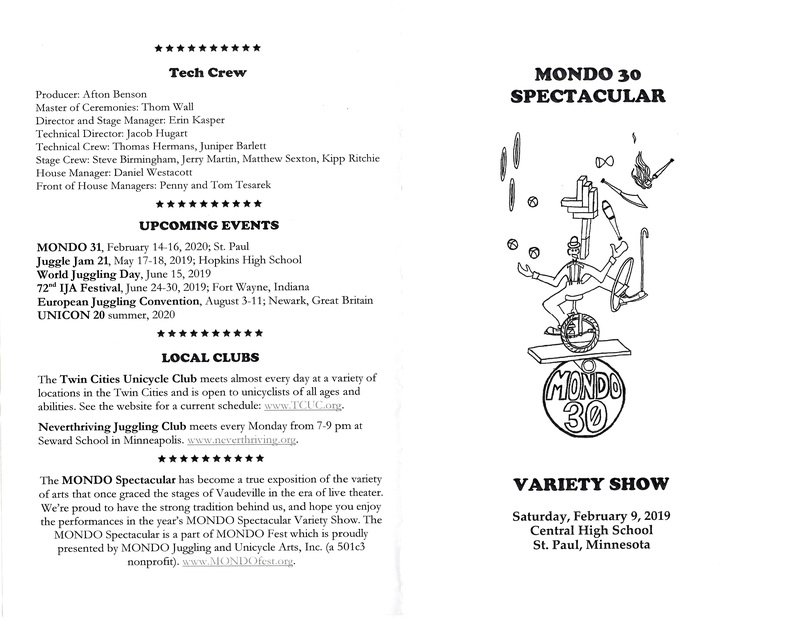 MONDO Spectacular sells out again, pushing the question of a new show venue. 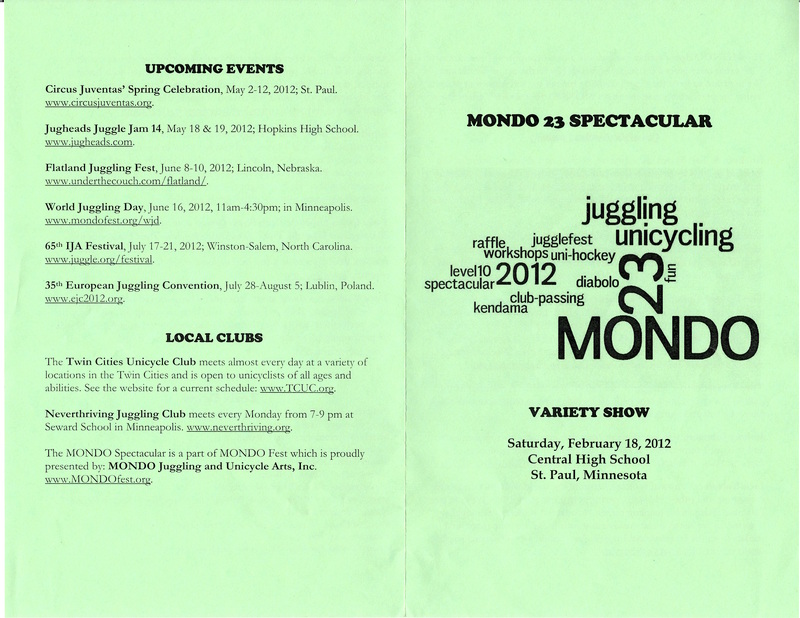 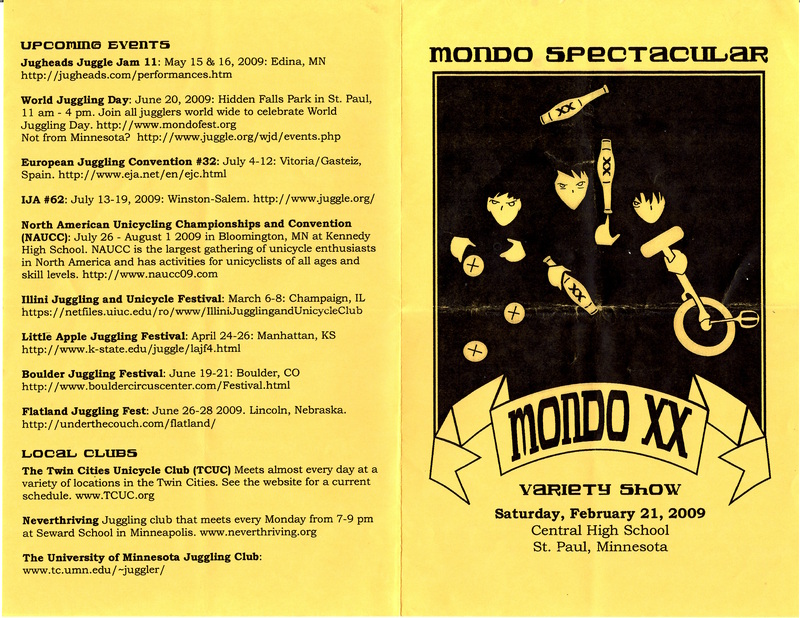 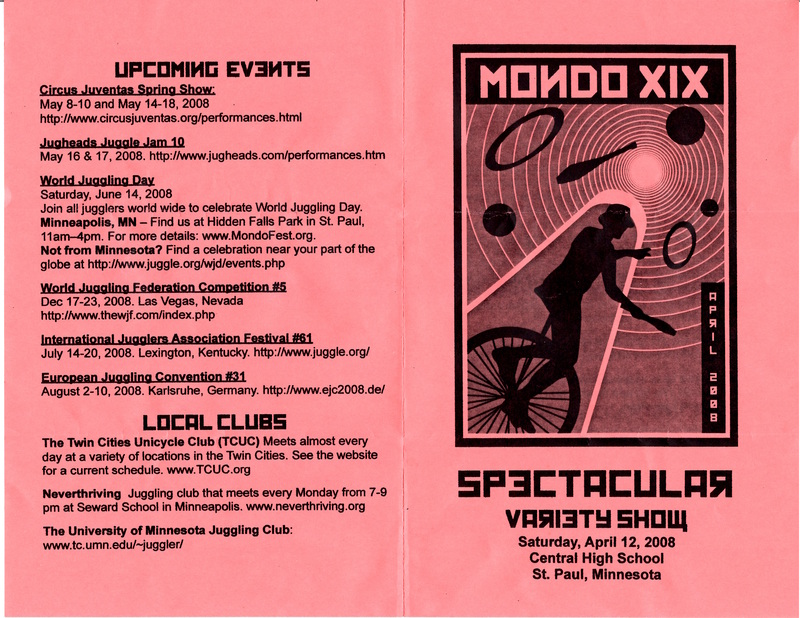 MONDO Spectacular move to St. Paul’s Central High School. 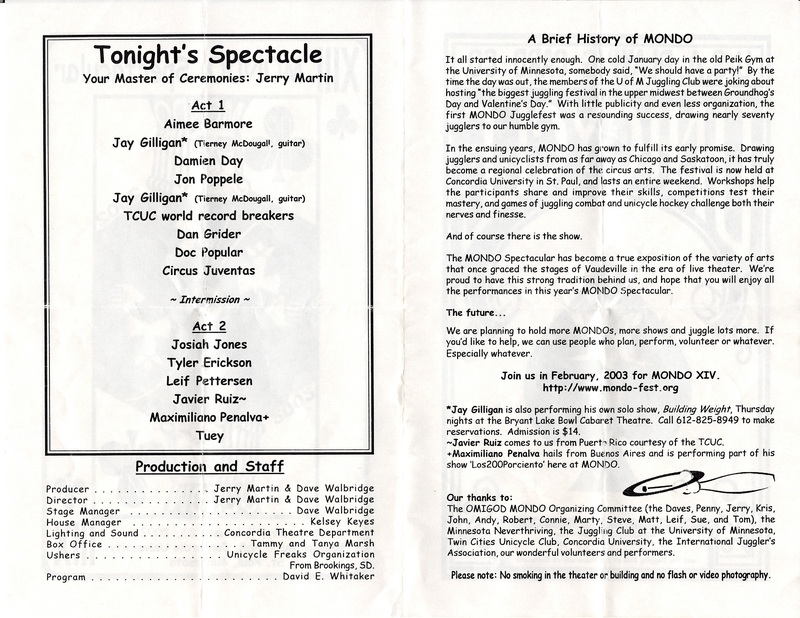 The new venue gave us more seats and better sightlines to the stage. 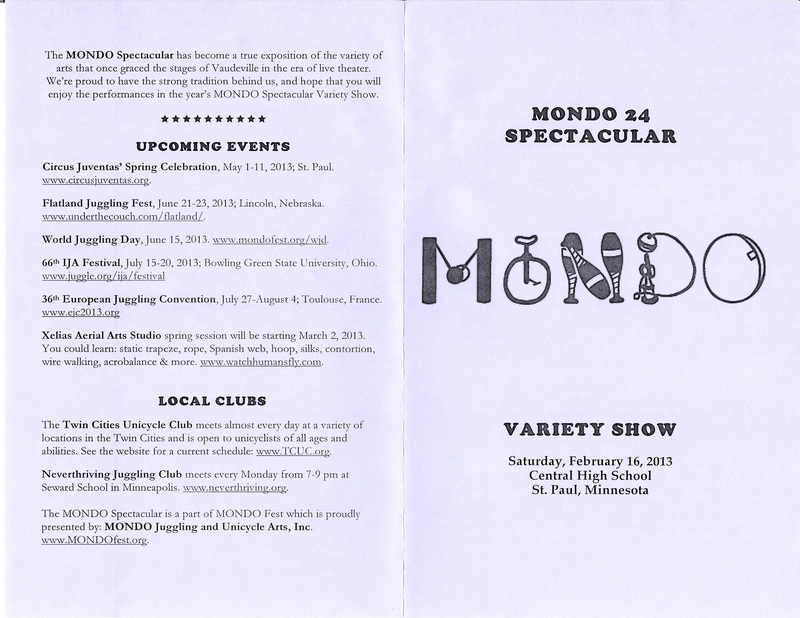 MONDO Spectacular held at Central High School.